The Florencio L. Vargas College is an institution of higher learning that fosters an environment of academic freedom and excellence. It endeavors to fully develop the human potentials of every Filipino youth primarily to prepare them to become active and indispensable partners for domestic, national and international development. 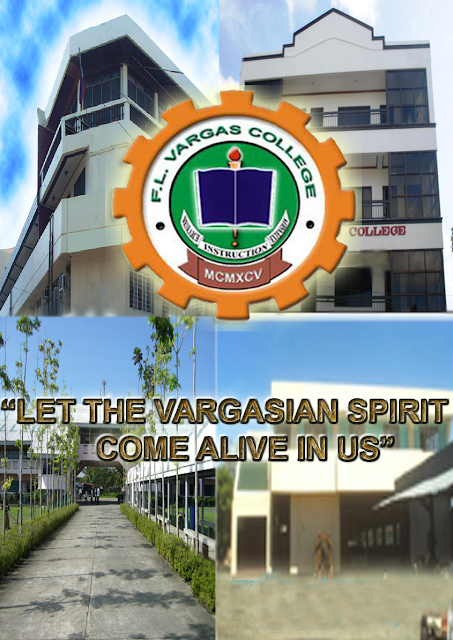 The Florencio L. Vargas College envisions empowering the individuals irrespective of belief, race, culture, socio-political, and economic conditions to respond positively to the call for access to Tertiary Education, especially to the marginalized members of society who could provide for the acceleration of national unity, cooperation, development and industrialization. The Florencio L. Vargas College is committed to produce God-fearing, self-reliant, highly productive, globally competitive, responsible and morally upright members of society who are ever willing and dedicated to serve God, country, community, fellowmen and family.